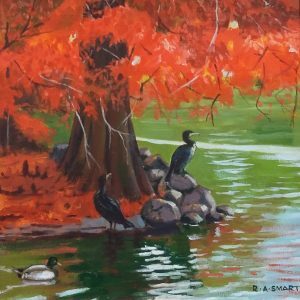 Ronald Smart Lives in Irvine, he is a self taught artist. He studied Mechanical Engineering at Paisley and worked as a draughtsman on light engineering projects. He was a founder member of Irvines Sketch Club. Ex president of Troon Art Club, and a member of Ayr Sketch club. He is an artist member of Paisley Art Institute where he exhibits regularly. He was awarded the Paisley Art Institute Small Painting prize in 2000. He has exhibited and sold at the Royal Glasgow Institute of Fine Arts. 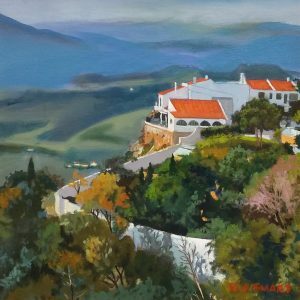 Ronald is Chairman of the organising committee of the North Ayrshire Open Art Exhibitions, he was awarded the main prize at the 2007 exhibition. His work is in private collections in the UK, Ireland, America, Australia and Finland. 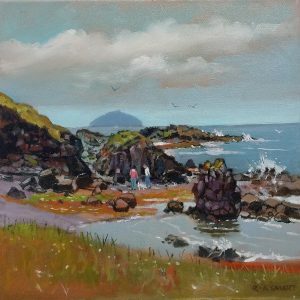 He has had mixed and solo exhibitions around Ayrshire.